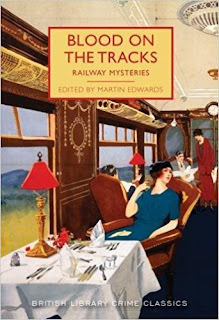 I was pleasantly surprised, last week, to see that Blood on the Tracks, my anthology of classic crime stories with a railway theme, had become a number one Kindle bestseller. And this prompted me to reflect on my unexpected but now quite lengthy career as an editor of anthologies. It dates back long before my involvement with the British Library - to the early 1990s, in fact. At that time, I suggested to my colleagues in the northern chapter of the CWA that it would be nice if we could produce an anthology of our work. Before I knew it, I'd been elected to edit the book and find a publisher for it. It proved to be great fun. I enlisted the help of a small press, Didsbury Press, and I remember a fun weekend staying with Ann and Tim Cleeves, and meeting up with fellow contributors Reg Hill, Bob Barnard, Chaz Brenchley and Val McDermid to discuss the project. The book that resulted, Northern Blood, did pretty well and earned some nice reviews. And that appeared to be that. Except that I was then asked to collaborate with members of the East Anglian chapter on an anthology called Anglian Blood; the contributors included P.D. James and Alan "George Gently" Hunter. Another fun project with another small press, though I have to say that the cover artwork was about the most horrible I've ever seen - I was never brave enough to ask Phyllis James her opinion of it! One thing led to another, as it so often does in life. A year or two later, I was asked to take over as editor of the national CWA anthology, and (again) to find a new publisher for it. More than twenty years later, I still sit in the editorial chair. The experience of editing the book nearly every year has been hugely rewarding - what could be better than being the first person to see a new story by Ian Rankin, or Christopher Fowler, or Liza Cody, or Simon Brett, or...well, you get the idea. 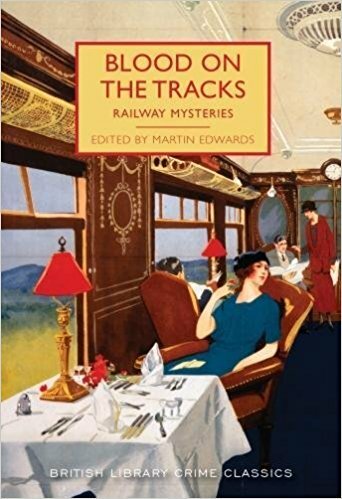 It's also been fascinating to take on stories by relatively unknown (at the time) writers such as Sarah Hilary and Mick Herron, who have proceeded to become hugely successful. As a reader of anthologies as well as an editor, I do feel that it's desirable for each book to have a personality of its own. Typically this comes from a unifying theme, even if it's a relatively broad theme. I've read anthologies that are really just random collections of stories, and that approach isn't for me. That said, I do think it's inevitable that not every story in a book will appeal equally to all readers. In a few days' time, I'll be taking part in a panel at the Florida Bouchercon which concerns anthologies,and I'm looking forward to it. The joy of an anthology comes from the blend, in my opinion, the combination perhaps of the well-known and the much less well-known, a range of writing styles, and so on. So the editing process does seem to me to be a highly subjective one; but then, that's the nature of writing. This career as an anthologist is something I never anticipated all those years ago. But for me, it continues to be genuinely enjoyable. I look forward to your panel at Bouchercon. I would love to buy you a pint and have you sign a copy of "Gallows Court" if you would oblige me.